The latest in fashion! 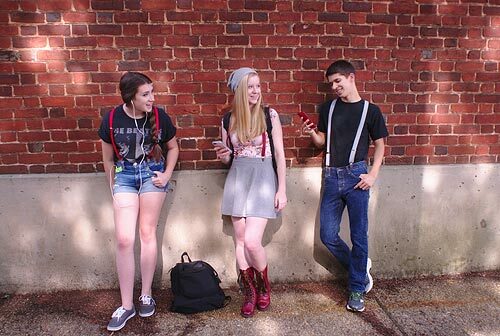 Great for both guys and gals, our thin suspenders are a fabulous and functional fashion statement! We carry three widths of skinny fashion suspenders - ¾" thin suspenders in both matte and luscious French satin finishes, ½" ultra-thin suspenders in 13 solid colors and seven sizzling hot neon colors and 1" suspenders in a plethora of patterns and colors. So whether you want thin, really thin suspenders or really, really thin suspenders, we've got one of the most extensive collections of colors, materials and widths of stylish and fashionable thin suspenders available anywhere. Just like skinny ties, skinny suspenders are very trendy in the fashion world. Small but mighty, they pack a punch when it comes to style, and they offer a sophisticated look for formal occasions or casual wear. Whether you wear your thin suspenders under your best tuxedo or paired with a button-down shirt and a blazer for the workday, SuspenderStore has the perfect pair for every person's unique style. Skinny suspenders are especially popular with young trendsetters, and are frequently the accessory of choice when wearing anything from T-shirts and jeans to a simple top and short plaid skirt. Our basic skinny suspenders come in solid shades of black, grey, navy blue and other neutral colors that match just about any outfit. These are ideal for anyone who wants the support of suspenders and the classic look without taking away from the rest of their clothing. They're the ideal choice to wear in a conservative work environment. SuspenderStore also carries skinny suspenders with subtle prints and patterns, including simple stripes and subtle polka dots in your choice of colors. If you want to get a bit more attention from your suspenders, we also carry thin options with wild and vibrant patterns such as zebra, tiger and leopard animal prints, and daring black and white zigzags and checks. Skinny neon suspenders pack a bold punch of color in their thin straps, and they come in a number of bold highlighter-like hues, including green, yellow, pink and more. These high fashion options are ideal for anyone who loves the timeless look of suspenders but wants to give it an edgy, modern look that's anything but basic. SuspenderStore even carries ¾" suspenders made from elegant, silky materials for your next elegant occasion. Our black satin options look best under a tailored suit or formal tuxedo, and they offer a retro-inspired look of true sophistication.